HOUSTON (KTRK) -- Two juveniles who were arrested at the end of chase in south Houston are being questioned in a string of robberies at Houston area Denny's and IHOP restaurants. The robbery spree started around 11:30pm Tuesday at the Denny's on Westheimer near Dunvale where police say two masked gunmen tried to take cash from the register and customers. An employee ran out a side door that triggered the alarm. That spooked the robbers away. About 40 minutes later, two men in the same getaway car stormed into the IHOP on the west Sam Houston Tollway. The suspects got away with some cash from the register. They tried to take money from customers, but an employee ran out the side door that sounded an alarm. The men jumped into a silver Cadillac CTS before shooting at an employee. That person was not hit. Around 1:30am, police say the masked men robbed the Denny's restaurant on Wilcrest and I-10 where they got away with cash. One customer, identified as David Muzal, allegedly fought back and was shot in the abdomen. He was transported to Ben Taub Hospital and is expected to survive. 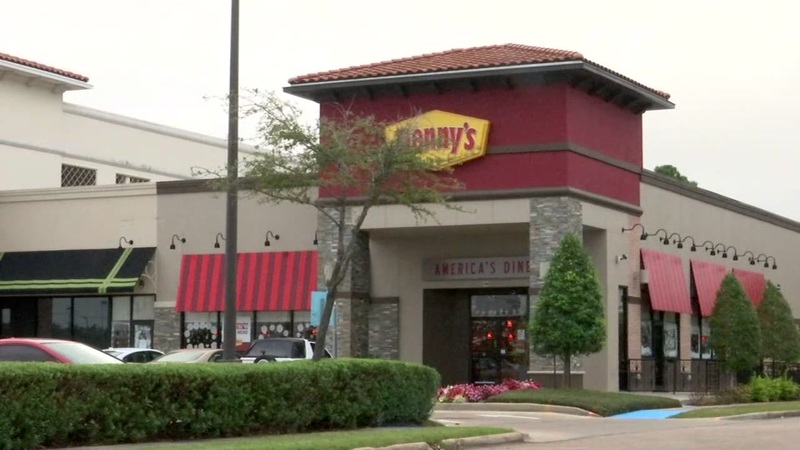 There was another reported armed robbery at a Denny's in Sugar Land where police say gunmen forced employees to open a safe. Officers say they believe the suspects are the same armed robbers.